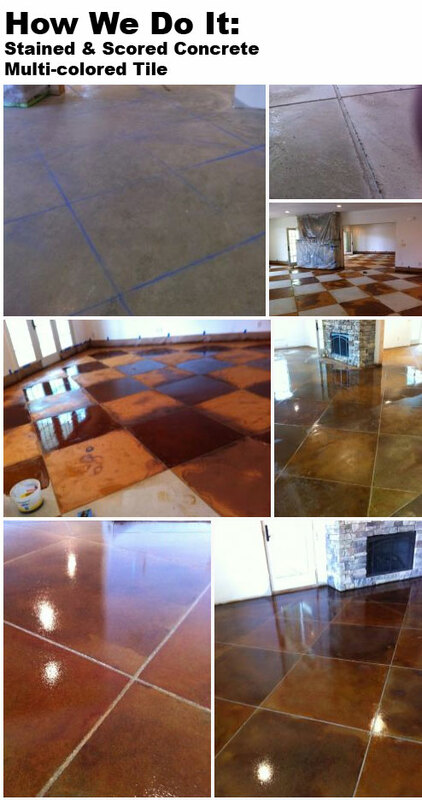 Most of our stained concrete projects involve a single color of stain across the entire floor, but occasionally we get clients that want us to create a look that simulates tile. The process is fairly simple to explain, (we score lines and stain each block a different color), but its always hard for people to understand exactly how we do it. 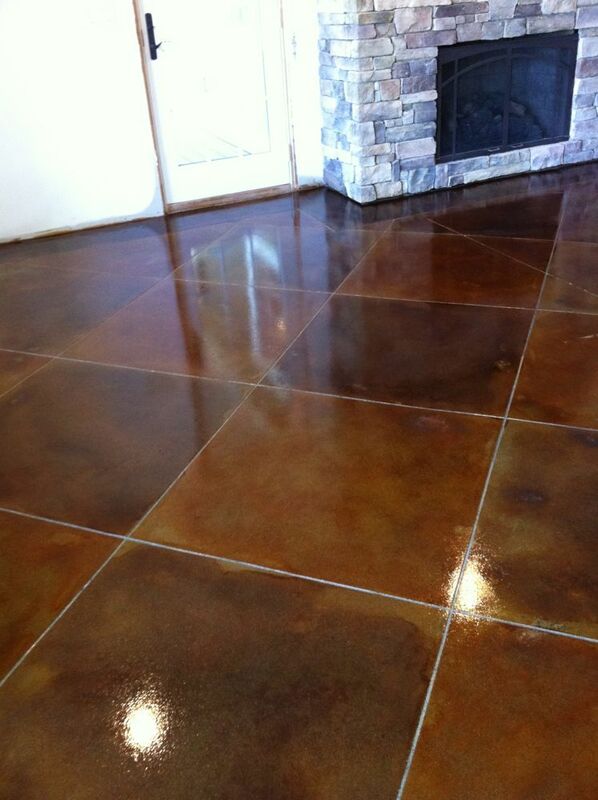 Applying the first color of concrete stain. 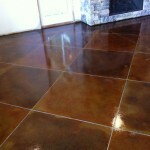 For more information, please visit our Stained Concrete page. Very, very nice work. I have enjoyed seeing your projects over the years. Top notch and high quality. That looks phenomenal! Excellent quality workmanship!